How Custos capitalised on a gap in the digital rights protection market. Take us back to where it all started? Bounty hunters, embedded Bitcoin rewards, pirates and blockchain. It sounds like the building blocks for a futuristic adventure film and might very well one day turn into a viable movie idea if the current success of South African tech startup Custos Media Technologies remains on its upwards trajectory. For now, however, it is the actual building blocks to protect films, and other digital media, against piracy in a ground-breaking new step in digital rights management. Pretty fitting for a company which name means ‘guardian’ in Latin. Gert-Jan van Rooyen – CEO and co-founder of Custos Media Technologies with its offices in Stellenbosch, South Africa – says he can definitely still remember the exact moment when the idea was born. It was in 2013, one morning around the coffee machine in the offices of the Media Lab (a media-technology research facility) at the University of Stellenbosch. Van Rooyen, Fred Lutz (now COO of Custos) and Herman Engelbrecht stood around “shooting the breeze”. “It was literally one of those flash-of-insight moments,” he explains. At that time Van Rooyen and his colleagues were doing research on content protection and video watermarking, and they were also interested in the advent of the cryptocurrency era. “We were idly chatting when we suddenly stumbled on this idea that you can use cryptocurrency deposits as a way of making sure that people play fair with digital content.” Van Rooyen wrote up the invention disclosure that very same day and sent it to the tech transfer office. “Within days we were talking to the patent lawyers,” he remembers. The idea is revolutionary. Turning anti-piracy into a digital gaming challenge with Bitcoin rewards waiting to be claimed and linking two of the most unlikely partners in the fight against piracy: the media houses wanting to protect their intellectual property when it is at its most vulnerable and a group of “long-on-time, short-on-money” digital natives who are already embroiled in the dark web of pirating. Essentially what Custos does is to embed Bitcoin reward keys inside their clients’ media content. If the content is kept confidential, this key remains unlocked. If the content is shared, there is a small group of enthusiastic bounty hunters who pounce to unlock and pocket the Bitcoin reward for themselves. The bounty hunters are recruited through Custos’ other brand: Privateer.xyz. Market-based and decentralised, this model finds a way for Custos’ client base to track down the original infringers who are sharing content on the piracy market. As soon as a reward is unlocked, Custos starts tracking the identity of the infringer. 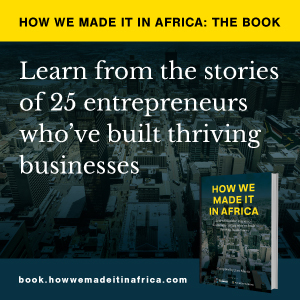 He explains that his career history in academics, first as researcher and then associate professor at the University of Stellenbosch, prepared him well for being an entrepreneur. “Someone once said that ‘academia is a series of individual faculty entrepreneurs held together by a common grievance over parking’,” he smiles. “But if you are an academic, you have to be entrepreneurial.” You also develop “academic grit” in facing the peer-review scrutiny of other researchers of your work, which now helps him to be able to reinvent and restart when facing entrepreneurial challenges. How did he grow the business into what it is today? Custos started four years ago with the three co-founders. Today it employs 13 people permanently and Van Rooyen indicates that by the end of the year, specifically acquiring skills in sales, they want to grow to about 20 people. It looks like surprisingly smooth sailing since he hopped on a plane in 2014 with co-founder Lutz to Hollywood to learn more about the business in order to develop their idea into a viable company. Today they have their biggest client in Japan; an e-book partner in the UK; they offer a secure video material distribution platform (www.screenercopy.com) and also deploys this service customised for certain clients (just recently in Canada and shortly in India). In the next couple of months Custos wants to build sustainable and scalable sales in the independent movie producer niche market. Then it aims to replicate that in other industries as well. Van Rooyen wants to canvas against the common belief for some entrepreneurs that your first funding must be venture capital (VC). “In the South African context specifically, there are many other funding opportunities – e.g. institutional funding and angel investors. VC is not the only way,” he advises.